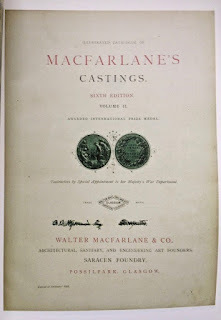 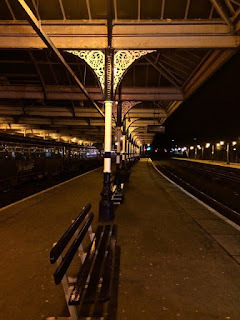 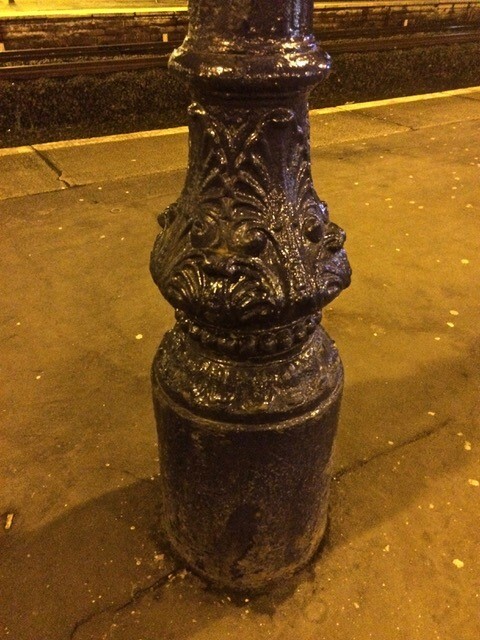 After his excellent talk on Alexander Greek Thomson, our speaker Iain McGillivray noticed that some of the castings at Kilmarnock station may well have come from MacFarlane's Foundry in Glasgow - where Thomson order much of his iron from. 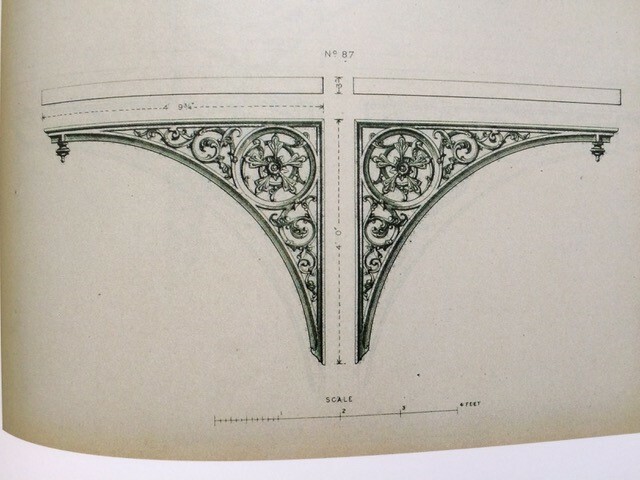 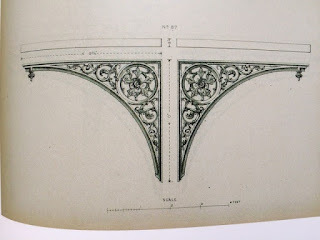 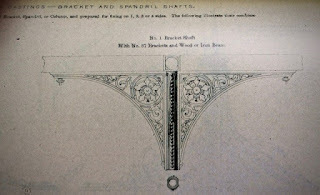 I mentioned Walter MacFarlane, whom I pictured standing beneath his imperial lamppost, since he collaborated with Thomson on many of his projects; Thomson also designed for him. Full column , closest with the Glasgow and South Western Railway in spandrel, other spandrels showing Macfarlanes design, together with his dimpled casting.